NIVOCAP Two-Wire Level Transmitter - HiTECH Technologies, Inc. 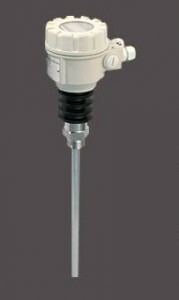 The NIVOCAP Two-Wire Capacitance Level Transmitter is the ideal device for general purpose level applications involving liquids or solids. Its wide measurement range and 1-1/2″ NPT mounting make the NivoCap well suited for many applications including; liquids, slurries, powders, and granulars, vaporous chemicals, viscose and/or corrosive materials, as well as processes involving high pressure, high temperature or vacuum.